When my daughter asked what she could have for dessert? 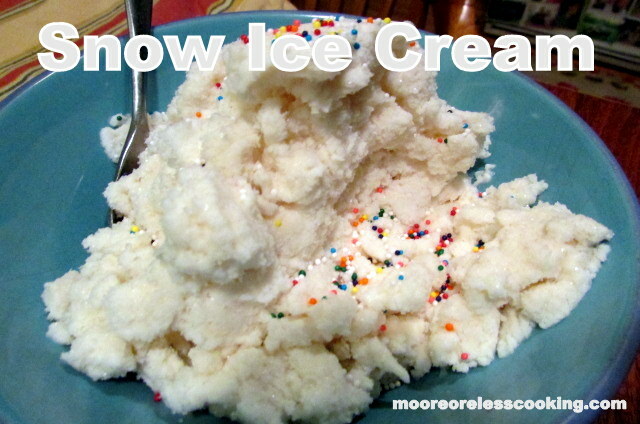 I replied, “would you like some snow ice cream?” She asked, “Is that a real thing?” Oh Yes, it is! I asked her to go outside and gather some fresh snow and I would get the rest of the ingredients ready. We have had a record amount of snow this year, the last time we had this much snow was in 1996. So actually, I have never seen this much snow in my life! 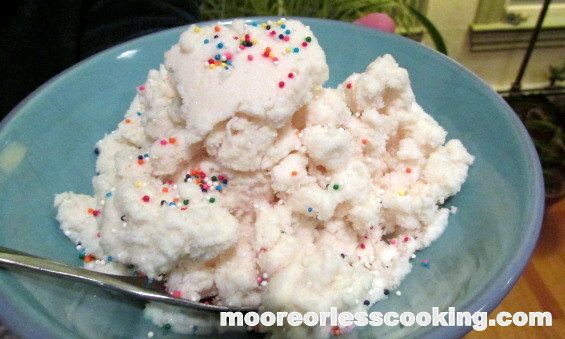 You can make this recipe very quickly and add sprinkles or jimmy’s, whichever you like best! So since it is made with snow, it does melt fast. Next time we are making Coffee Ice Cream! How yummy would that be?? 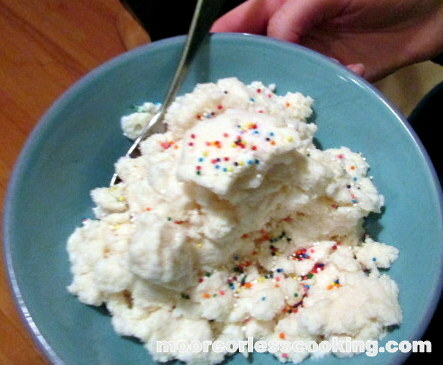 Delicious fresh Snow Ice Cream! In a large bowl, whisk half and half, sugar, vanilla and sea salt together until combined. Put in freezer until ready to add snow. 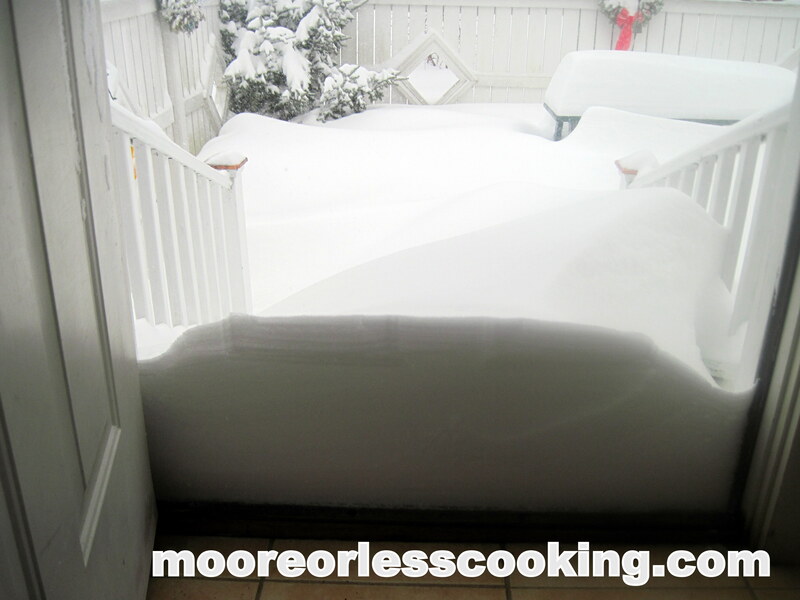 Get some fresh and clean snow, and immediately stir it into the half and half mixture until it looks like ice cream. Top with sprinkles or jimmies.your choice! Should be fluffy and not runny. Looks amazing Nettie! Don’t think I’ll have the chance to make it here in Florida though LOL! I was skeptical when I saw the title but after reading, this looks delicious- I’m going to link to the post tomorrow (I link to things I love on Fridays). Awwww, I understand Kecia, food has such strong memories attached to it, I am happy you had such a wonderful memory of your Grandpa. I love the way you think my friend. Such a yummy idea! Thank you Nancy!! Lots of snow this winter! How fun! Another reason to love the snow!